A letter by our national co-spokesperson, Colin Fox, welcoming new Scots to Scotland. Scotland benefits enormously when people choose to come here and start a new life for themselves and their families. As they say in Gaelic, we bid you ‘One Thousand Welcomes’. Our country is enriched with new citizens from across the world – socially, economically and culturally. We benefit as people bring skills and talents to add to our society. For centuries Scots have had to leave in search of a better life for themselves and their families in Australia, New Zealand, Canada, the USA and all corners of the globe. 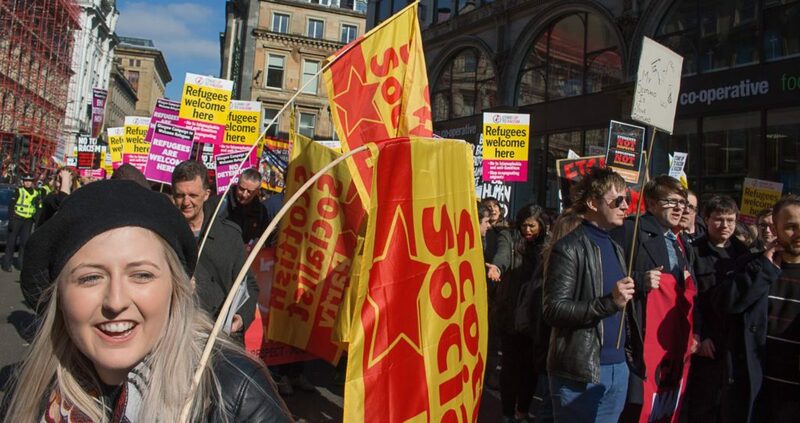 So it is with our own history and culture in mind that the Scottish Socialist Party welcomes everyone who chooses to come here and help us build a better country together equally. We respect and admire the courage it takes to leave your homeland in search of a better life elsewhere. We are immensely proud to welcome so many ‘new Scots’ who have come to help us grow our nation’s wealth. Our birth rate had been falling for 50 years before you came and now it is rising again. We were proud to have European comrade Sophia Lycouris from Greece standing for us as part of RISE: Scotland’s Left Alliance in the election to the Scottish Parliament on May 5th. Another comrade Debora Kayembe, from the Congo spoke on behalf of Scotland’s refugee community at our election rally in Edinburgh on April 26th. 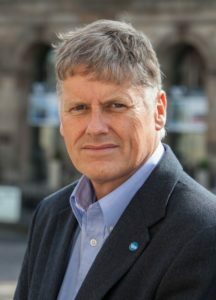 The Scottish Socialist Party seeks to build an independent Scotland which is internationalist and open to all ‘New Scots’ who wish to live and work here. We have plenty of room and a low population density. We aim to build a new nation that respects different cultures, traditions and voices and insists on their independence and equal rights. In the event of Britain’s exit from the European Union, which we oppose – the SSP will oppose any diminution of European free-movement and of migrant workers rights. As socialists, we defend the hard-won rights of all workers regardless of where they come from. We defend them with our words, our actions and our collective solidarity. We utterly reject all attempts to blame migrant workers, refugees or asylum seekers for Britain’s economic, social and cultural problems. The responsibility for the 2008 economic and financial collapse and its aftermath lies rests entirely with our common enemies, the greedy bankers and speculators in the City of London and the boss classes worldwide. The SSP will continue to oppose all attempts to ‘divide and conquer’ working class people anywhere. Thank you for choosing to make Scotland your new home. We are grateful and we are proud of you. This is your country as much as anyone’s. Please do not hesitate to contact the SSP if we can be of any help to you at any time. We all stand united and together.